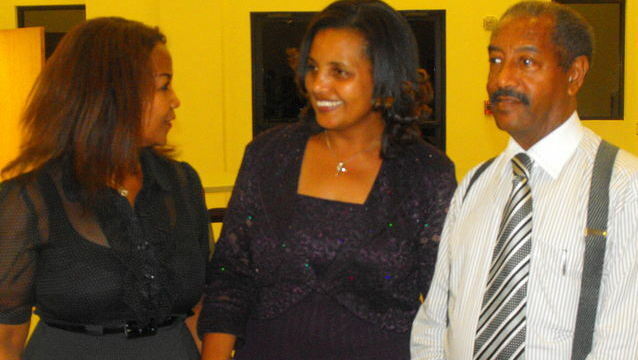 New York (Tadias) – The National Endowment for Democracy has awarded Birtukan Mideksa, one of Ethiopia’s most prominent political figures, its Reagan-Fascell Democracy Fellowship for 2011-2012. The international exchange program – which was founded a decade ago with funding from the U.S. Congress and named in honor of former President Ronald Reagan and the late U.S. congressman Dante Fascell – provides an elite group of distinguished and promising leaders an opportunity to study the principles of democracy. Birtukan, who has been imprisoned multiple times on charges stemming from her leadership role in one of Ethiopia’s biggest political parties, was freed by pardon last fall after spending nearly two years behind bars. She was re-arrested in December 2008 for denying the conditions of a previous pardon in which she was sentenced to life in prison subsequent to the violence that followed the disputed 2005 national elections – when bloody riots and government crackdown claimed the lives of 193 protesters and seven policemen. Birtukan, a former judge and single mother, says she is looking forward to her studies in the United States. “I am very pleased to join some of the most influential people from around the world that are selected for their leadership and commitment to freedom and democracy,” Birtukan told Addis Voice. “This is an honor that I accept with utmost humility on behalf of the people of Ethiopia,” she said. Learn more about the fellowship at The National Endowment for Democracy. Click here to listen to the VOA interview with Birtukan Mideksa.